Anyone that knows me would know that before Little Mister was here he was pretty well stocked with cute newborn and 0-3 months clothes. Boy clothes turned out to be WAY cuter than I expected and so we picked up pieces we loved/necessities and were gifted with some adorable clothing. 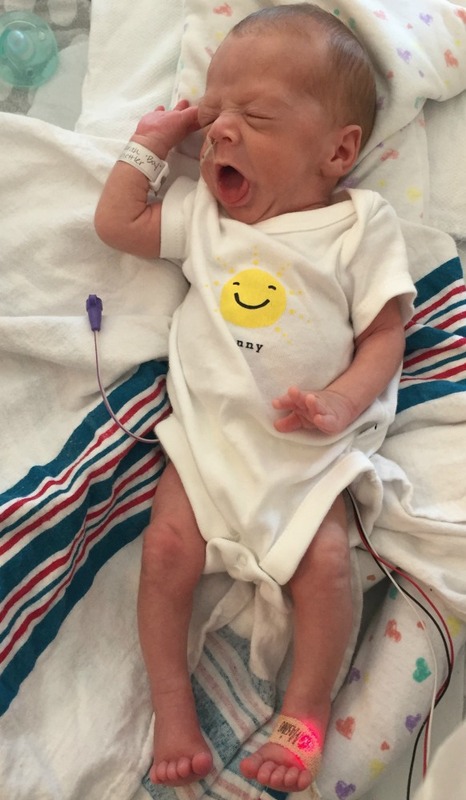 What we didn't have were preemie clothes. Because, well, you know, someone tossed us a curve ball. For the first few days to week of Grant being in the NICU he was in his (temperature controlled, very warm) incubator and I didn't think much about clothes. Also I was in a complete daze 99% of the time. However I vividly remember showing up at the NICU and his nurse for the day said 'if you have some clothes you want to bring him we can put him in clothes.' I just about cried on the spot. Clothes seemed like such a normalcy in the chaos that we were living in with tubes and wires and incubators. 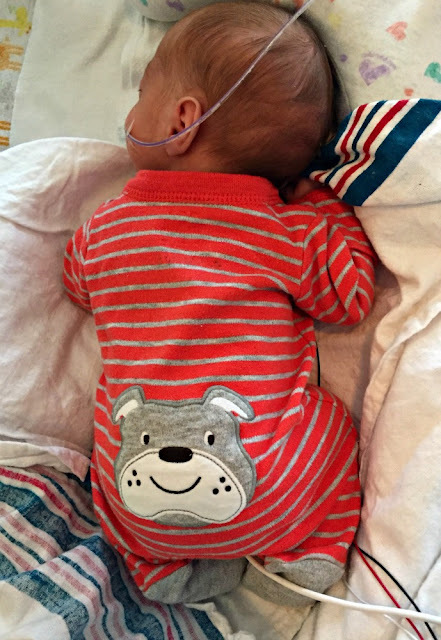 It is no surprise that I drove immediately to Target after I left that day and picked up an outfit and Mister ran by Buy Buy Baby and found some teeny tiny onesies for him. Then the search was on. At first glance the Internet didn't have a ton to offer and I began to get really frustrated. I even tried looking while we were still in the hospital and couldn't find much online. Carters has a few things but they are fairly limited compared to their other offerings (especially in the store) and Target has literally 2 items. Buy Buy Baby has a small selection, Wal Mart carries a secondary line from Carters called Child of Mine that has been really great and Nordstrom and a few other retailers also carry a precious line called Little Me and BabyGap has collection that is 'up to 7lbs'. Now socks and hats that fit are a whole different story...thank goodness for swaddling blankets to cover those tootsies up. Between friends, family, some careful searching and borrowing from friends (a work friend of mine had preemie twin boys so she loaned us a few items which has been a lifesaver), Little Mister soon had quite the collection. As quickly as we could find and wash things I would take them into the NICU. I vividly remember the day I walked in and he had a onesie on for the first time. I definitely cried that day. It was so reassuring to finally see something very, very normal on my baby rather than just wires and leads. I'm not sure I will ever forget that. They also put a sign on his bed that said 'I have my own clothes' which tickled me as well for some reason. So while preemie clothes are not as readily available to find, it can be done. The irony is that generally if you need preemie clothes you need them quickly because you were not expecting to need them. I understand from a retailers standpoint they do not sell the same quantities as other sizes but I do think they should be easier to find. 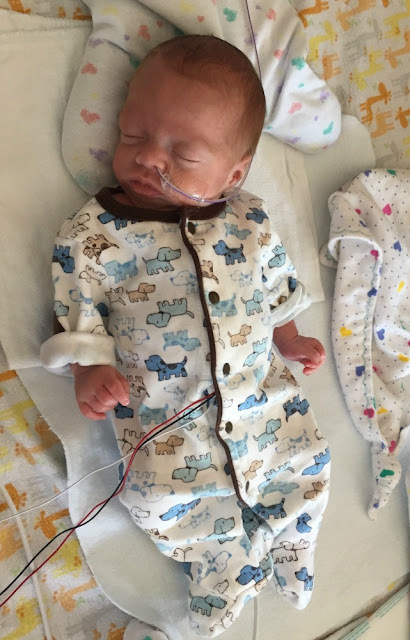 We did find that the sizing with preemie items varies greatly...some stuff is still too big on him while some stuff he has already outgrown, both of which boggle my mind. We do a lot of sleeve rolling so he doesn't get swallowed by sleeves. He is just too sweet! Love those puppy pjs! And you will soon learn that no brands size their clothes the same. Most of Leah's stuff is Carters or BabyGap. But Carters runs super small and BabyGap runs really big. Right now she is in a 18month in Carters (which she is a thin 17month old) and in BabyGap she can still fit into their 9month pants and 6-12 month tops. Crazy sizes! (Don't even get me started on shoes!) haha. 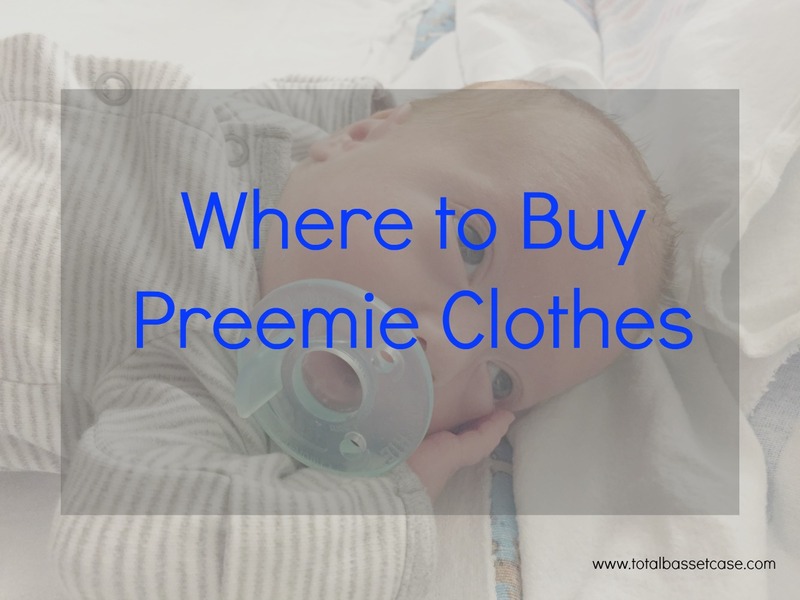 Please check out www.perfectlypreemie.com for a wide variety of preemie clothes.